1. First thing in the morning when you wake up, do you look at your phone? If so what do you search? My husband and I have a ‘no phones in the bedroom’ policy so actually I don’t look at my phone first thing. I try and start the day tech-free before I actually settle down to begin the working day. 2. Are you a coffee or tea drinker and what kind? Peppermint tea is my hot drink of choice! When I worked in the corporate world, I used to drink coffee in meetings just to please my bosses but never again as it’s just not my thing! 3. You always imagined growing up you’d be? I always knew I wanted to forge my own path, and it may sound clichéd for an entrepreneur, but I genuinely had dozens of ‘businesses’ when I was young. I started ‘Grace’s Glorious Gifts’ at aged six and went on to launch several other ventures including a fabric company and food market. I was very fortunate – my parents were so supportive and encouraging. They fostered a real entrepreneurial spirit and never once told me I couldn’t do anything or shouldn’t take risks. I thought this was normal, so it was a big eye-opener when I started working in the female-entrepreneur space that this wasn’t the case for many other people, particularly women. This has made me more driven in my quest to ensure all female entrepreneurs are supported and empowered. 4. GRACE LEVER DOING DAY came about from…. Having already fostered a community of female entrepreneurs, I knew I wanted to support them in some way but I wasn’t sure how! I was sitting around the fire enjoying a glass of red with my husband and chatting about how I really wanted to provide them with ‘what they want, what they really, really want’ (to quote the Spice Girls!) and we concluded was, that live events were the best way forward. I realised women were craving for that face-to-face interaction. Since the dawn of the internet we’ve all been hiding behind our screens but in recent years, I’ve identified a desire for the opposite – for consumers and people in business to interact with a live human being. Frustrated…because I know what they’re capable of with just a little helping hand. I feel like we’re short changing our society when women are negative about themselves and their achievements because they don’t realise what they’re capable of and the impact that they can have on society and the wider world. Get excited about it as I can see the opportunities unfold. I see a light go on when I see the impact of women encouraging one another and reminding them that they can do it – not in an empty, false way but in a way where they can recognise that they are uniquely incredible at something. It’s awesome to see, and that’s how it always should be! 7. One thing you keep close to your chest (until now is)…. I’m a Christian. I truly believe I was created for a purpose and I’m so excited to see the powerful impact that it’s having on me and what I’m doing. Don’t engage. I understand that in most instances the negativity is coming from an unhappy place and it’s really sad to see that it is channelled in this way. As someone who is in front of a million women a month I recognise that sadly it’s par for the course. When I am in touch with so many people, the majority are so wonderful and positive, but I understand that there will always be a small number of people that don’t react in the same way. In some ways, I feel any negativity aimed my way is actually a compliment. When you stand for something you are inevitably going to have polarity. For everyone to like you would be a dangerous thing! I would say that all women in business should acknowledge that they have a ‘genius zone’. That is –the one thing she excels at that everyone else is in awe of but which comes naturally to her. Other people will look at you and say, “Wow – how did you do that?” but for you it’s as easy as 1-2-3. I want women to recognise and embrace that, and acknowledge how their ‘genius zone’ can be monetised and make a real impact on the wider world. 10. The never ending quest for balance between work life and family life you take on by…. Recognising that I am human and I should focus on what I’m best at, and anything that’s not in my genius zone I can outsource to others who are better at it. I’m pretty disciplined in my work/life balance. I’ve worked so hard and sacrificed personal life in the past and reached burn out and it’s just not worth it. I am really strict about keeping my working week to just four days and I’ve got the business to a stage where I can do that without it impacting on productivity or profit. My escape is getting really stuck into a book and at those times, I don’t think about anything sensible and just immerse myself in it. I didn’t want to answer this one myself so I asked the team! They came back with ‘productive, honest and fearless’, which I think is pretty accurate (and flattering!). When I get ‘in the zone’ I can be really efficient and ‘get stuff done’, which is my entire philosophy. 13. The legacy you hope to leave is…..
For every female entrepreneur that I work with to be empowered and equipped to build the profitable lifestyle business that they were created to have. I really believe that there is no need for the journey to be so hard and I want others to realise this too! Previous articleYou should be lifting those dumb bells! Grace Lever is taking women around the nation with her incredible entrepreneurial skills to a whole new level. 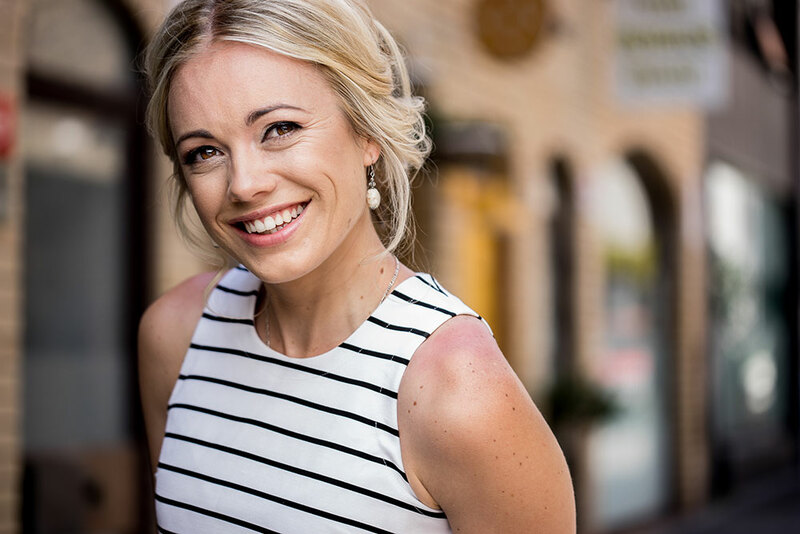 Engaging and passionate she has created "Doing Days" for all women who want to start succeeding in their business.Grace Lever is a marketing funnel specialist and educator working with female entrepreneurs, helping them create balanced, automated lifestyle businesses. She is one incredible lady and a woman on a mission to help lift other women in their working worlds. Your side-hustle could be a successful business!